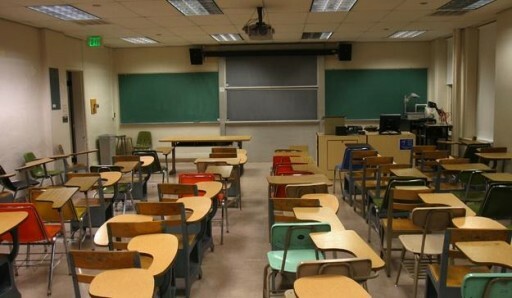 New York - With the alleged failures of yeshivos gleefully trumpeted by the media, a new report from a national agency reported underwhelming results from all New York state schools, particularly those in the New York City public school system. Under the auspices of the United States Department of Education, the National Assessment of Educational Progress has been testing fourth and eighth graders nationwide on reading and math since 1966 in order to assess schools’ progress and improve education. But reports from the NAEP’s 2017 tests have shown both city and state public schools have demonstrated little improvement over the past few years, with only 22 percent of fourth graders earning reading scores that reached the test’s “proficiency” level, compared with 27 percent nationwide. Eighth graders had similar scores, with just 24 percent achieving the “proficient” ranking, compared to 31 percent nationwide. In both grades, black and Hispanic students’ scores trailed those of their white peers by a range of 23 to 30 points. According to a New York Post (https://nyp.st/2H03YTA) editorial, the NAEP report demonstrates that despite the highest per student spending in the nation, New York State is failing its public school students. The Post slams both Mayor Bill de Blasio and former school’s chancellor Carmen Farina for shortchanging schoolchildren, saying any gains in scores were a result of tests deliberately watered down to boost scores, not greater academic achievement. The Post further bolsters its claims by saying that the state is holding back its school by school comparison until after the start of the 2018-2019 school year in order further cover its failures. Ironically, the Post op-ed comes on the heels of an op-ed credited to the same editorial board published on April 3rd (https://nyp.st/2IZHVx3). That article, titled “Who will stop the push to leave Jewish kids in ignorance?,” criticized Senator Simcha Felder for his efforts to include wording in the new state budget acknowledging the academic challenges of a yeshiva curriculum. "mah inyan shmitah etzel Sinai? Just because the public schools (which MUST accept everyone as students) offer a subpar education, therefore it's ok for some Yeshivas to do the same? Yeshivas should offer an excellent education in limudei kodesh and in limudei chol. Why public schools come into this equation is simply beyond me! Have u seen the "students" in these schools? They are in the pipeline to rulers, just maybe Darwin had a point about the origins of some folks. Anyone want to thank Deblasio for another job well done? It's not even that the education is subpar, many students this year decided to throw the tests. Also, reduced teacher cheating. How did the yeshivos do?